The 2018-2019 American Indian Studies Graduate Student Council (AISGSC) is made up of doctoral candidates & students, and master's students in American Indian Studies (AIS), but also welcomes the participation from UA students in all disciplines and community members alike. We are involved in many different areas including: being a voice for AIS students, having an active role in AIS committees, and working with local communities. We serve as a forum for students to discuss cultural, social, political, and educational concerns and to network with other Native students and organizations on and off the UA campus. AISGSC students promote interactions between UA communities and Native Nations and fosters community building among Indigenous graduate, undergraduate, and professional students and our allies. We aim to enhance personal, academic, and professional growth and development in a fun, stable, and peaceful family environment. We serve as a conduit for graduate, undergraduate, and professional student issues and concerns. Our wish is to foster close relations with current students and alumni creating a strong sense of community and higher student retention. AISGSC strives to provide a voice for student advocacy; improve the educational experience of AIS students by promoting professional relationships between faculty, students, and staff; providing student representation in faculty and curriculum committee meetings; and other matters that directly affect the well-being of AIS students. AISGSC aims to enhance scholarship opportunities and access to research funding, host and encourage the organization of social activities and fundraising events, and provide fellowship among students, faculty, and staff in the American Indian Studies Department. Larea Lewis is the AISGSC President and is a member of the Agua Caliente Band of Cahuilla Indians (ACBCI) from Palm Springs, CA. 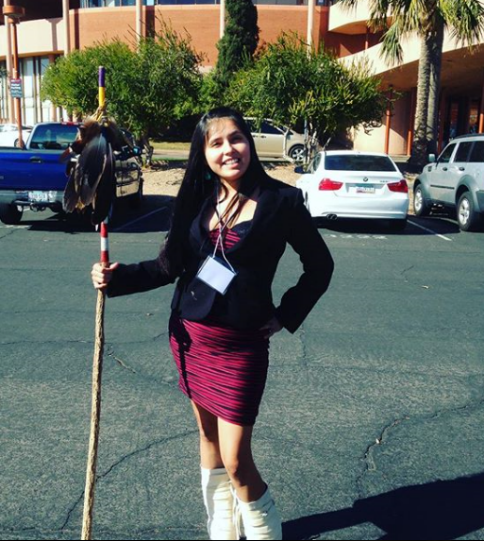 She is pursuing a PhD in AIS: Federal Indian Law & Policy and has received an MA in Anthropology: Applied Archaeology and a BA in Flute Performance. Previously, she has worked with the Arizona State Museum for 5 years educating K-12 children on Southwestern tribes through exhibit tours and outreach program. Currently, she serves as Chairwoman of the Historic Preservation Advisory Board (HPAB) created by her tribe’s Tribal Historic Preservation Officer to help make recommendations on cultural issues. Her interests are in protecting and preserving cultural resources and landscapes, as well as learning and revitalizing the tribe’s cultural heritage. Millicent Michelle "Millie" Pepion is your AISGSC vice-president. Hi! My name is Millicent Michelle Pepion and I go by "Millie". I am a proud member of the Navajo Nation and recognized descendent of the Blackfeet Nation. In 2011, I graduated from Haskell Indian Nations University with an Associate's degree in Liberal Studies. Soon after, I transferred to Arizona State University. In 2014, I graduated with a Bachelor's degree in Liberal Studies. In 2016, I graduated with a Master's degree in Family and Human Development. This is my first year at the University of Arizona. 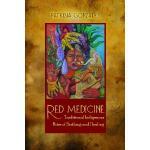 Currently, I am working towards a PhD in American Indian Studies. I am honored to be taking over for Souksavannah as AISGSC Treasurer and am looking forward to an exciting spring semester!! Kari Quiballo is your AISGSC treasurer and a doctoral candidate in AIS. Her dissertation topic is Epistemic Injustice in Archives, Libraries, and Museums: American Indians in Our Collective Memory. She works at the intersection of law and policy, culture and lifeways, and Information Science. 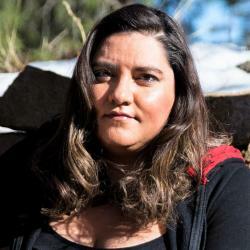 She holds a BA in Interdisciplinary Studies with a concentration in Philosophy, Art History, and Religious Studies and has GA and Intern experience with the Old Pascua Museum & Yaqui Culture Center, Center for Creative Photography, Heard Museum, American Indian Film Gallery, and the AZ Historical Society. 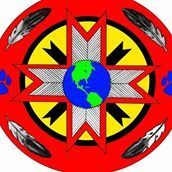 Kari also been a GTA in both face-to-face and online courses such as Traditional Ecological Knowledge, Native Nation Building, Many Nations of Native America, Native Americans in Film, and Contemporary American Indian Issues. In addition to her academic experience, Kari is one of UA libraries most recent hires as a Library Information Associate in Access & Information Services (AIS). Ashleigh Thompson is your AISGSC secretary. Aaniin boozhoo. Ashleigh Thompson indizhinakaz. Miskwagamawi zaaga’igan indonjiba. Migizi indodem. Hello! I am Ashleigh Thompson, Red Lake Ojibwe tribal member, and of the eagle clan. Currently, I am a fourth year PhD student in anthropology (archaeology) with a graduate minor in American Indian Studies. 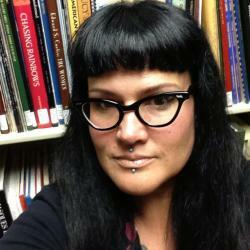 My research interests include Indigenous archaeology, applied anthropology, and food sovereignty. In 2014, I graduated from the University of Minnesota, Morris with B.A.s in anthropology, American Indian Studies, Multicultural Studies, and English. I am also a writer, photographer, and outdoors enthusiast. Miigwech (thanks).